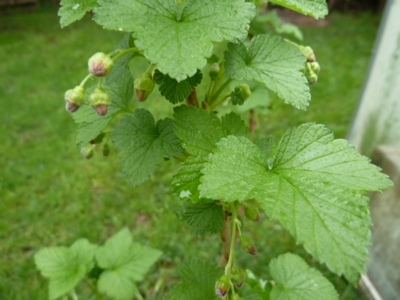 My Home and Garden: My black currant has flower buds. I am so excited. My black currant has flower buds. I am so excited. This winter I finally figured out where to put the red and black currants. Today I strolled around to see what has happened in the past 24 hours. My daily ritual. I noticed that the black currant has small flower buds. I am so excited. I've never tasted a currant before!! Jealous!! Mine are coming back but as they were baby twigs last year, I doubt I'll have blossoms this year. If you can find it (amazon.com) get a bottle of Ribena. It's a British drink concentrate made from black currants. Oh my....so wonderfully refreshing! I will keep my eyes open for Ribena. I think I remember it from the 70s? Thank you for the tip.